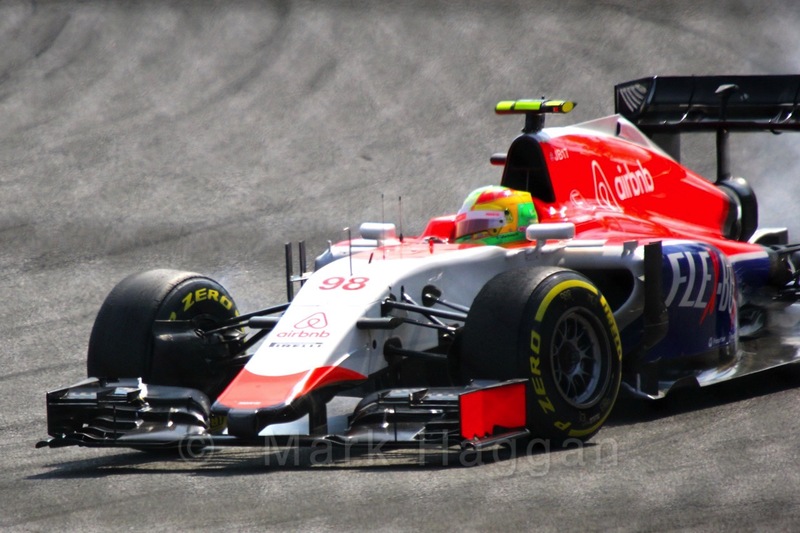 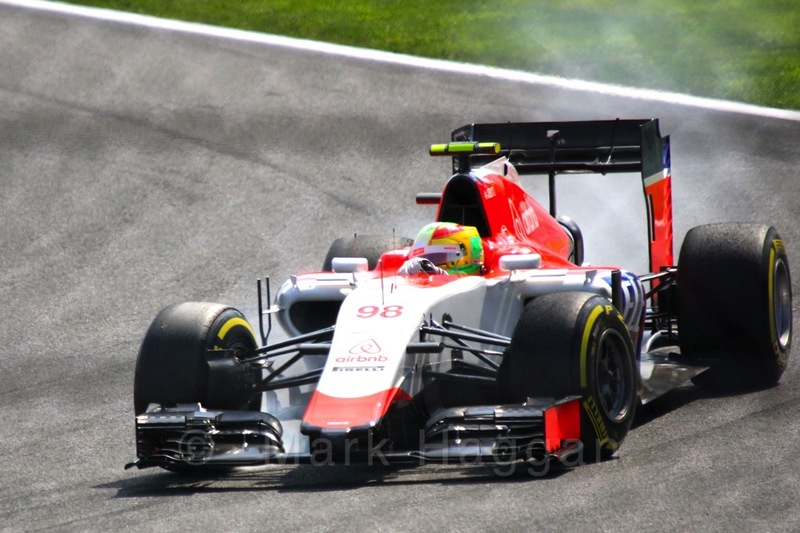 Roberto Merhi is a Spainish racing driver of Brazilian and Lebanese ancestry. 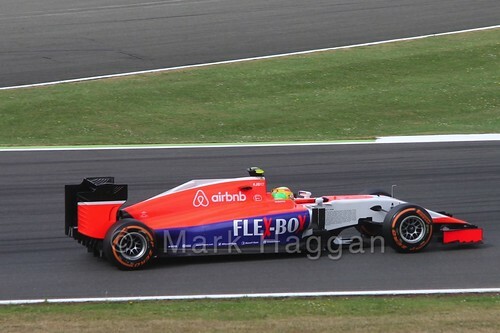 He made his name in Formula Renault, coming 4th in Italian Formula Renault in 2007 at the age of 16, whilst also competing in the Formula Renault Eurocup. 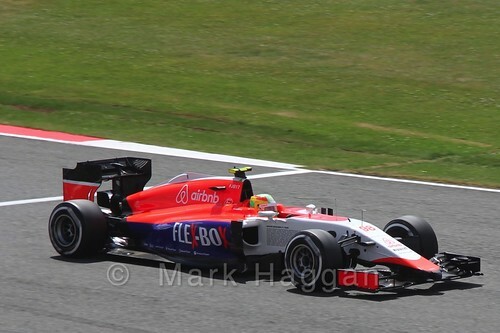 The following year saw him race in the Western European Championship in Formula Renault, as well as competing in some Italian Formula Three races, and in 2009 he drove for Manor in the Formula Three Euro Series. 2010 saw him stay with the Formula Three and take his first win there, then a final F3 year in 2011 before a move to DTM in 2012 where he stayed for two years. In 2014, he moved to Formula Renault 3.5 where an incident with Canadian driver Nicholas Latifi in Austria saw Roberto Merhi disqualified and banned for the next two races. During 2014, Merhi also served initially as a test driver for the then troubled Caterham Formula One team, appearing in the Free Practice One events at Italy, Japan and Russia. 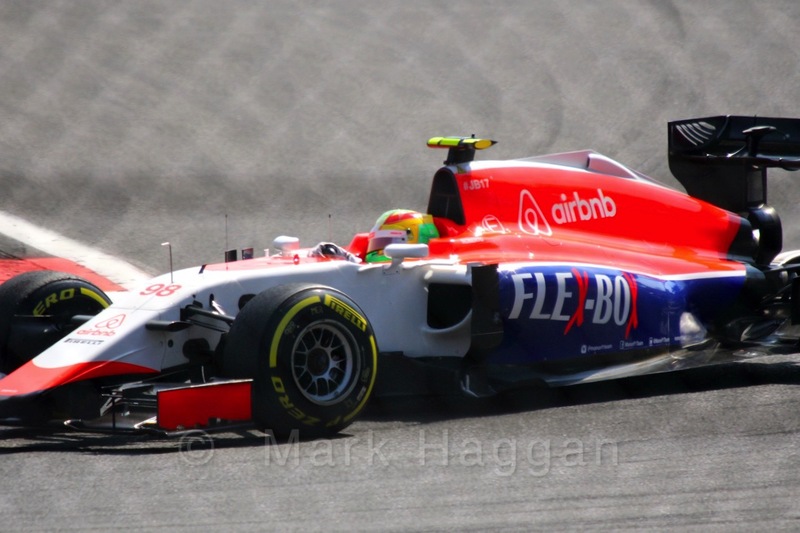 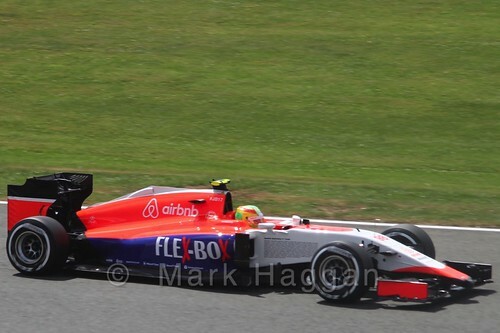 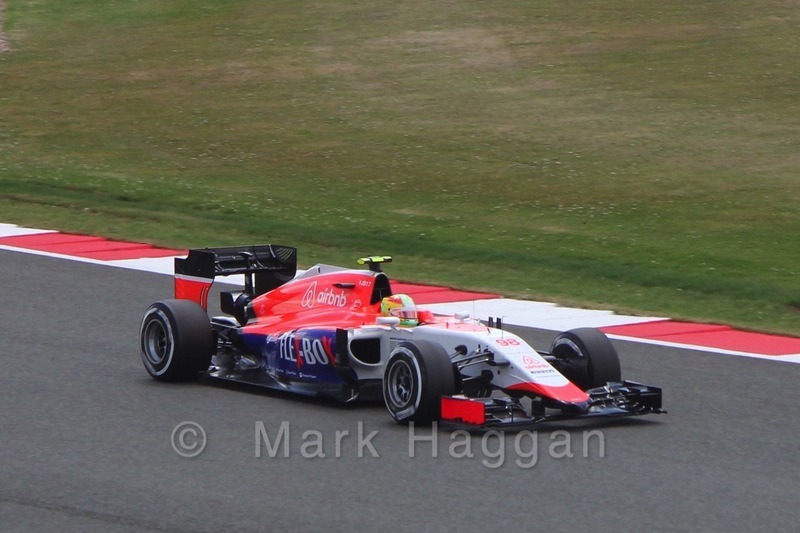 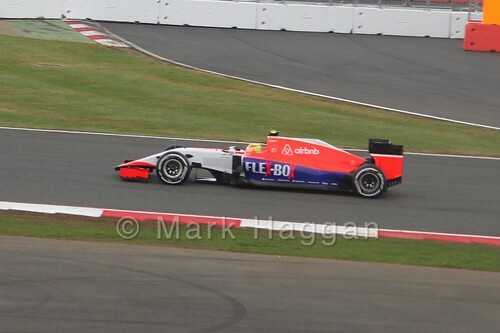 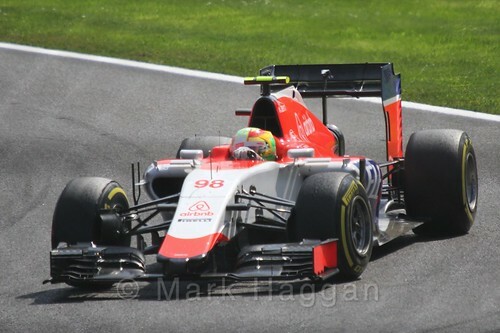 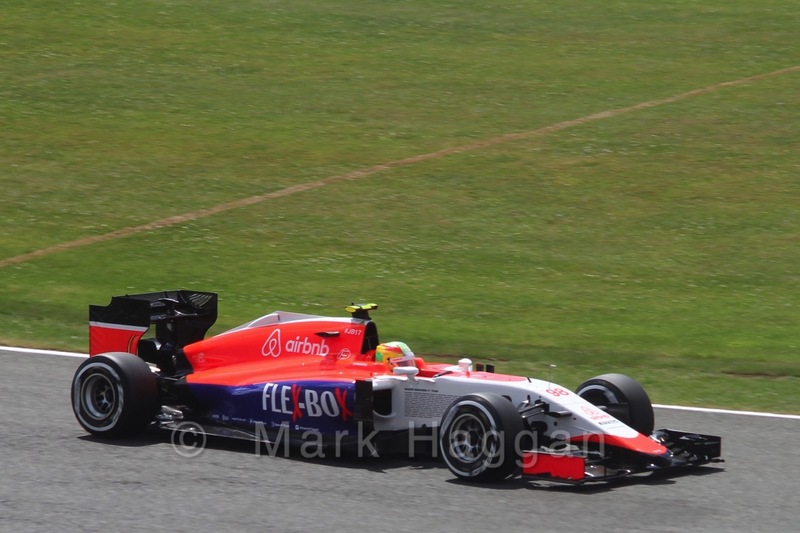 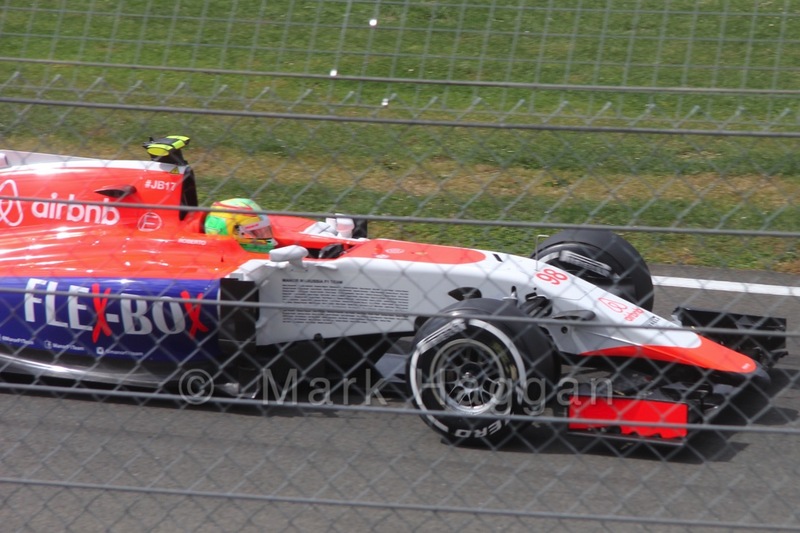 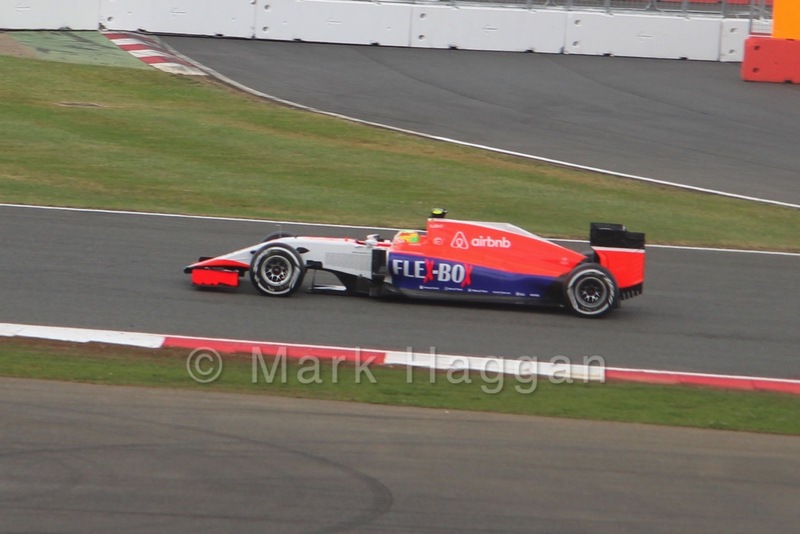 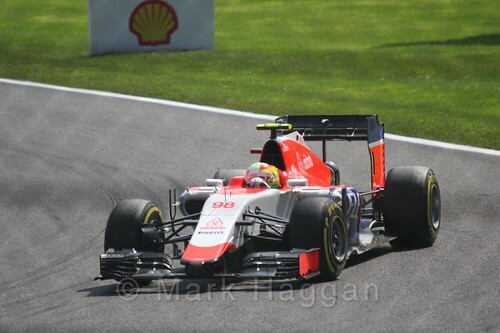 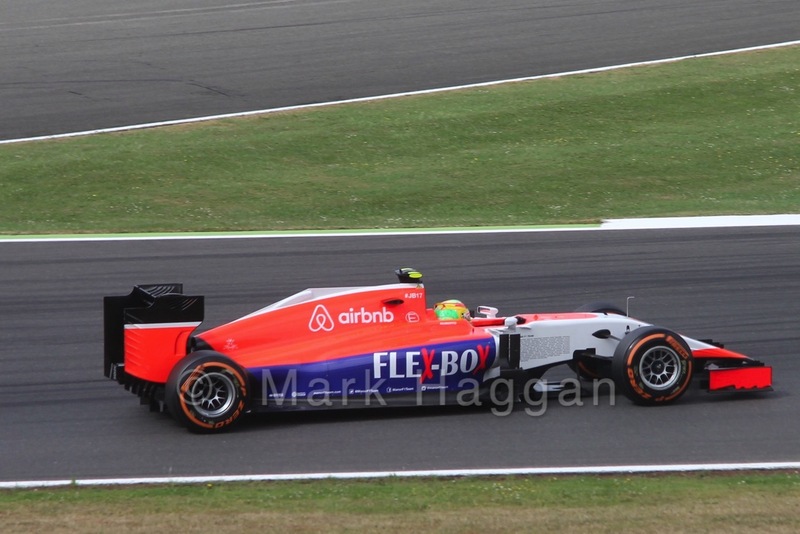 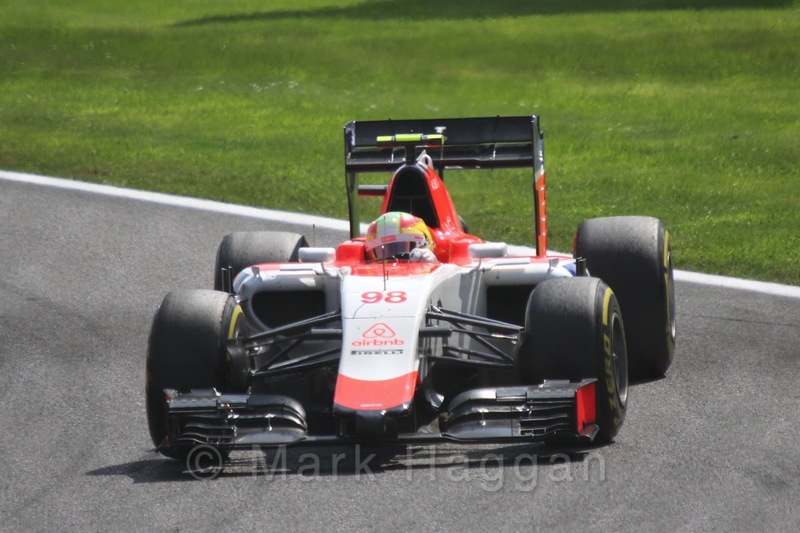 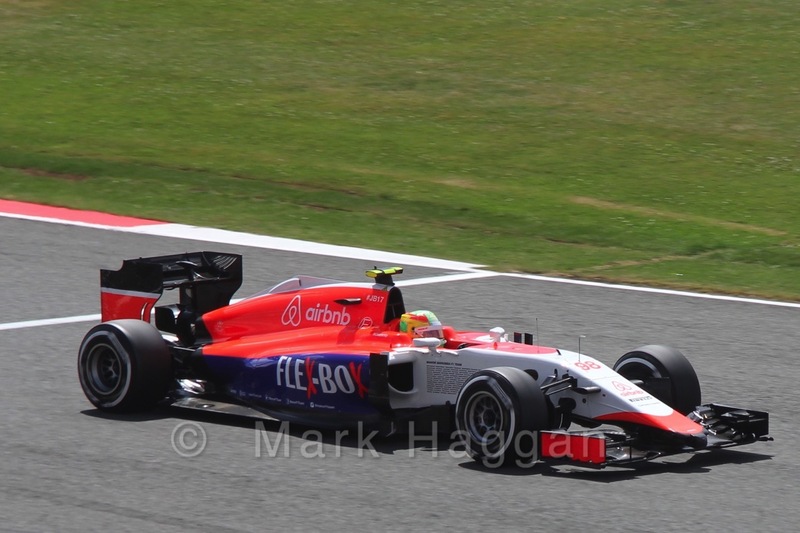 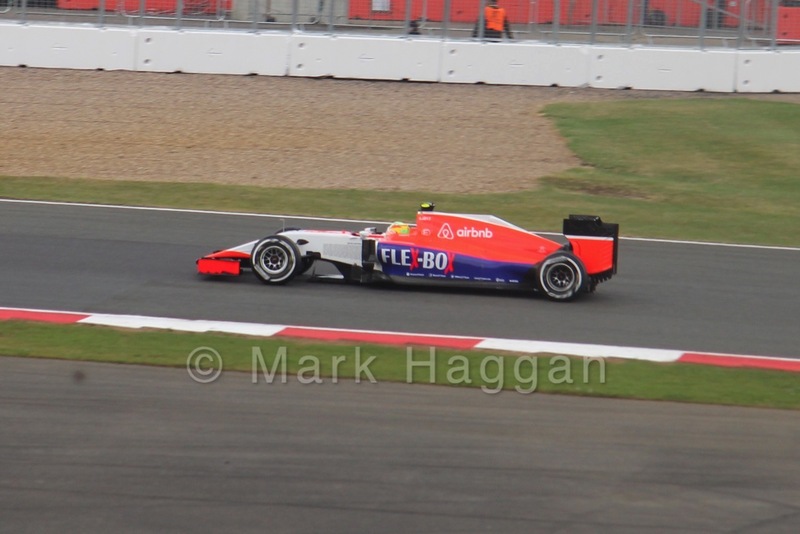 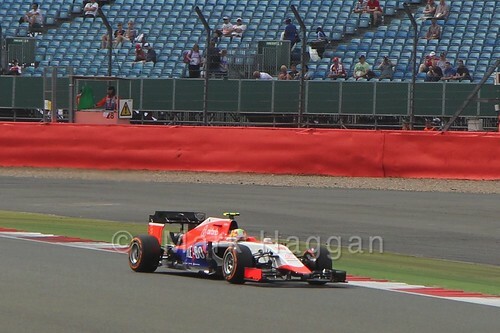 He was then signed for the Manor team for the 2015 season, teamed with Will Stevens. 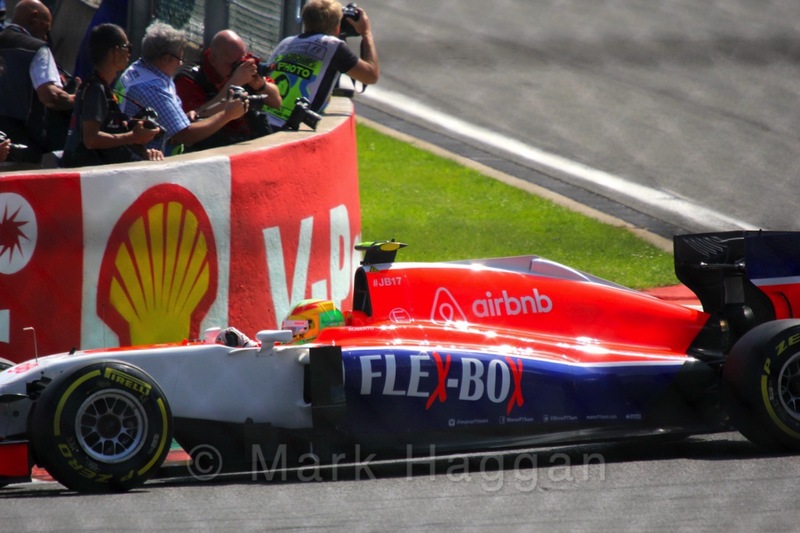 Formula One, Motor Racing Drivers, F1, Formula 1, Formula One, galleries, Motor Racing, Motor Sport. permalink.